The Airavatesvara Temple is a temple of the Hindus situated in Darasuran town near Kumbakonam in the Indian state of Tamil Nadu. The temple was constructed in the 12th Century CE by Rajaraja Chola II who was in the throne between 1146 and 1172 CE. The temple is a UNESCO World Heritage Site. Some other temples were also built along with the Airavatesvara temple being built by none other than the Chola rulers. 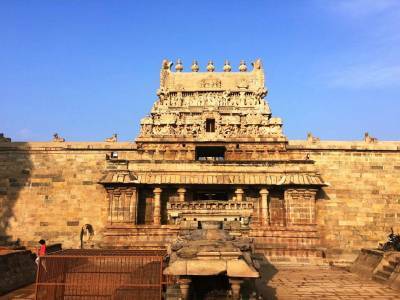 The Airavatesvara temple is dedicated to Lord Shiva and has a linga called Airavatesvara. 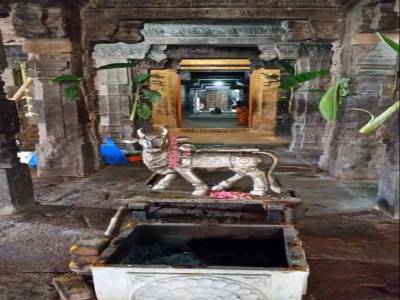 The temple displays with all due respect Shaktism and Vaishnavism traditions of the religion of Hinduism together with the legends related to the Nayanars. The nomenclature of this temple has an interesting background. 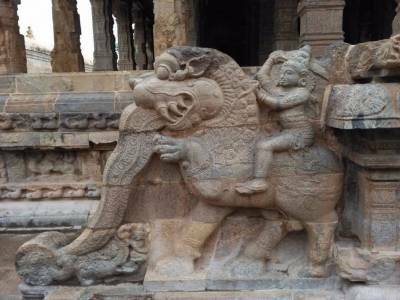 As per Hindu mythology, the elephant of Lord Indra Airavata got cursed by sage Durvasa for showing disrespect to him. As a result of this curse, a skin discolouration occurred to the white elephant which could have only got cured by taking a dip in the sacred water of Airavatesvara. And that is how the temple and its deity got their nomenclature following this very incident. The architectural marvel of this temple is highly intricate and delightful having sculptures and paintings on walls. It bears testimony of the great architectural brilliance of the then artists. There is simply no denying that the temple is a not-to-miss one for all religious people and also for those having great interest in history. The temple is a replete with epigraph and rare sculptures which delves into the history of Rajaraja Chola. 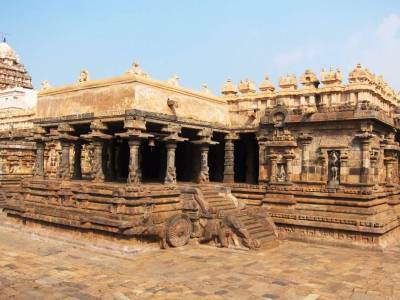 In spite of the fact that this temple is comparatively smaller than the other temples of the Great Living Chola Temples, however, there is simply no doubt over the fact that it has got far more intricate sculptures. With the ASI (Archaeological Survey of India) maintaining and looking after this temple rather brilliantly, it has indeed become a top tourist spot for obvious reasons. 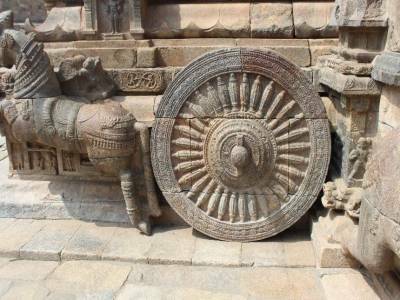 Get quick answers from travelers who visit to Airavatesvara Temple.